Tumbletots is a physical play programme for children giving them access to exceptional fun that offers physical development as well. 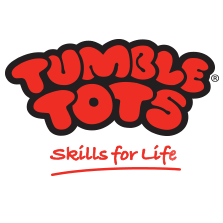 Tumbletots has been teaching children to be more confident in their own physical and mental capabilities for over 25 years and is a well-recognised and well thought of name for parents to trust. The ethos behind Tumbletots is to give children challenges that stretch them but also give them enjoyment. And of course they will gain a huge sense of achievement which will push them on to do more and more. The aim at the end of each class is for children to have reached their potential and discovered that they can do more than they ever thought they could. Tumbletots puts children’s natural energy to work alongside expert guidance and help so that it can be focused. Children will also learn how the body works and what is healthy (and what isn’t) to enable them to make the right choices for themselves in the future. When exercise is about having fun as well as getting fit, children (and the adults they become) will certainly benefit. Tumbletots also sells play equipment so that children can continue the good work that they begin in their organised classes at home.